The Fairhair dynasty (Norwegian: Hårfagreætta) was a family of kings founded by Harald I of Norway which united and ruled Norway with few interruptions from the latter half of the 9th century to 1387 (traditional view), or through only three generations of kings ending with Harald Greycloak in the late 10th century (the view of many modern scholars). The Fairhair Dynasty is traditionally regarded as the first royal dynasty of the united kingdom of Norway. It was founded by Harald I of Norway, known as Haraldr hinn hárfagri (Harald Fairhair or Finehair), the first King of Norway (as opposed to "in Norway"), who defeated the last resisting petty kings at the Battle of Hafrsfjord in 872. According to the traditional view, after Harald Fairhair first unified the kingdom, Norway was inherited by his agnatic (male) descendants. In the 13th century, this was codified in law. 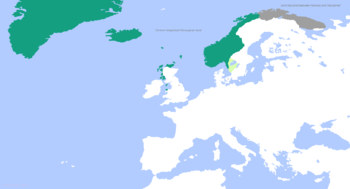 Unlike other Scandinavian monarchies and Anglo-Saxon England, Norway was never an elective monarchy. However, in the first centuries after Harald Fairhair, there were several periods during which the country was effectively ruled not by a king but by one of the Jarls of Lade, (Old Norse Hlaðir), from the northern part of Norway. The first such period was from about 975 to about 995 under Haakon Sigurdsson (Hákon Sigurðarson, often called 'Jarl Haakon'). Also, although Harald Fairhair's kingdom was the kernel of a unified Norway, it was still small and his power centre was in Vestfold, in the south. And when he died, the kingdom was divided between his sons. Some historians put emphasis on the actual monarchical control over the country and assert that Olav II (Olav the Stout, who later became St. Olav), who reigned from 1015, was the first king to have control over the entire country. He is generally held to be the driving force behind Norway's final conversion to Christianity and was later revered as Rex Perpetuum Norvegiæ (Latin: eternal king of Norway). Some provinces did not actually come under the rule of the Fairhair kings before the time of Harald III (Harald Hardrada, r. 1046–1066). Either of these may therefore be regarded as further unifiers of Norway. And some of the rulers were nominally or actually vassals of the King of Denmark, including Jarl Haakon. It is undisputed that later kings, until Magnus IV (Magnus the Blind, r. 1130–1135 and 1137–1139), were descended from Harald Hardrada: the 'Hardrada dynasty'. However, many modern historians doubt whether Harald III was in fact descended from Harald Fairhair (for example questioning the identification of Halfdan in Hadafylke with the father of Sigurd Syr or Harald Fairhair's fathering of Sigurd Hrise on a Sami girl called Snæfrid) and whether he in fact made such a claim, or whether this lineage is a construction from the 12th century. Sverre Sigurdsson's claim to be the son of Sigurd Munn is also usually considered to be false, which would make Inge II (Inge Bårdsson) the last king of a dynasty. Scholars now consider the Fairhair dynasty at least partly the product of medieval invention. One motive would be to increase the legitimacy of rulers by giving them a clear royal ancestry dating back to the foundation of the kingdom. Another was to provide pedigrees for other people by connecting them to the royal house. Versions of the royal descent are preserved in various works by Icelandic skalds and historians, some based on now lost works: Þjóðólfr of Hvinir's Ynglingatal, in Nóregs konungatal (which preserves information from a lost work by Sæmundr fróði), and at greatest length in Snorri Sturluson's Heimskringla (which preserves information from a now lost version of Ari Þorgilsson's Íslendingabók). These differ in some respects. Joan Turville-Petre explored the relationship between them and argued that the original aims were to establish a framework of regnal years for dating and to connect Icelandic chieftains to them, and that the Vestfold origin of the dynasty was deliberately altered and they were connected to the Swedish Ynglings rather than the Skjǫldungs to fit Icelandic tradition. Claus Krag argued that an important motive was to establish a hereditary claim to Viken, the region around Oslo, because the area had been paying taxes to the King of Denmark. Turville-Petre speaks of a "decisive reconstruction of Harald [Hardrada]'s ancestry probably carried out by Icelanders, some two hundred years after his time" which made Halfdan the Black the progenitor of a dynasty which stretched in three branches from Harald Fairhair to Olaf Tryggvason, Olav II and Harald. - in fulfillment of prophetic dreams, according to Heimskringla, in which the genealogy reaches its full form. One particular point of doubt raised by historians is whether Harald III's father was actually descended in unbroken male line from a younger (and somewhat obscure) son of Harald Fairhair, and Olav II in another obscure but unbroken male line. It has been suggested that their claims to the throne were bolstered by genealogical invention because although they shared the same mother, Åsta Gudbrandsdatter, the mother's descent was unimportant in inheritance according to traditional Germanic law. In this critical view, only three generations of Fairhair kings reigned, from 930 to 1030, for 40 years altogether. The kings Olav Tryggvason and St. Olav, their family ties with the Fairhair dynasty perhaps a 12th-century invention, ruled for 18 years altogether and Harald Hardrada then founded a new dynasty. There may be as many as 6 dynasties altogether subsumed under the title of Fairhair dynasty: Harald Fairhair's, Olav Tryggvason's, St. Olav's, Harald Hardrada's, Magnus Erlingsson's and Sverre's. After Olav II of Norway's recognition as a saint, successors of his half-brother, Harald III, were also known as the 'St. Olav dynasty'. Each of them came from "nowhere" and won the kingdom, the three latter claiming to be hitherto unknown natural sons of an earlier king. Olav I is historically known to have claimed male-line descent from Harald I, as grandson of Harald's alleged son Olav in Vika. And Olav II is known to also have claimed male-line descent from Harald I, as great-grandson of Harald I's alleged son Bjørn in Vestfold. 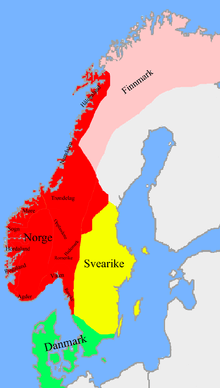 Opposing sources claim that Viken and its region of Norway, Vestfold, were not parts of Harald I's dominions but subject to the Danish. The reliability of these two claims depends on the credibility of the Icelandic accounts (in particular Heimskringla) and the sources used to compile them. Harald III is historically attested to have referred only to his kinship with his maternal half-brother, King Olav II of Norway, whose father in turn, as previously mentioned, is claimed to have descended from Harald I (even that descent is subject to some doubt). Much later legends (sagas authored under the patronage of royal courts of Harald III's descendants) claim Harald III's father also to have descended from Harald I (through Harald Fairhair's alleged son Sigurd Hrise). Based on historical sources, this claimed descent from Harald I is of much later origin than the claims of descent of Olav I and Olav II, which apparently were known to their contemporaries, not made only a century or so later as seems to be the case with Harald III. Thus, Harald III started the 'Hardrada dynasty', a putative branch of the Fairhair dynasty. They also became known as the 'St. Olav dynasty' in honor of the founder's half-brother. Harald IV arrived in Norway from his native Ireland and claimed to be the natural son of Magnus III, sired during the latter's Irish expedition. His claim seems, from historical sources, to be based on tales told by his Irish mother and family circle during his youth. Thus, Harald IV started the 'Gille' or 'Gylle dynasty' (the "Irish branch"), a putative branch of the alleged ancient dynasty. The most seriously discredited alleged son, practically regarded as an impostor by many modern academics, was Sverre I, who arrived in Norway from his native Faroe Islands, took up leadership in the embattled and heirless Birkebeiner party of the civil war, and claimed to be the natural son of Sigurd II by Gunhild, Sverre's attested mother. Sverre was sired during his mother's marriage with another man, Unas the Combmaker. Only in adulthood, so the claim goes according to legends, did his mother tell Sverre his 'real' paternity. Based on historical sources, no one else appears to have given the story credence. During that stage of the civil war, the strife was so intense that genealogical truth had evolved to a relative concept. Many royal pretenders claimed to be sons of King Sigurd II, and that was mostly a political statement - their claims were at best dubious. It may have meant just that the claimant desired to continue the perceived policies of Sigurd and his party, and in that sense were his 'sons'. 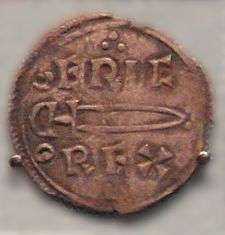 Thus, Sverre I started the Sverre dynasty (the "Faroese branch"), a putative branch of the alleged ancient dynasty. The house of Sverre is mentioned in non-Norwegian contexts too; for example, its one female member, Margaret, Maid of Norway, inherited the Crown of Scotland. Haakon IV was born to a Norwegian peasant girl after the death of King Haakon III. She and the late king's inner circle affirmed that she had been the king's lover and that the boy had been sired by him. Of all the last-mentioned four problematic points of descent, this appears, on the face of it, as the most trustworthy. Thus, Haakon IV, who can be regarded as having started yet another new dynasty, is generally regarded as having continued the 'Sverre dynasty' (the "Faroese branch"). However, this itself has uncertain status as a branch of the Fairhair dynasty. Philip Simonsson and Skule Baardsson cannot be easily placed into the Fairhair dynasty scheme. Their relation to an earlier Fairhair king was that of a half-brother. There is a clear line through Ragnhild, a daughter of king Magnus Barefoot, which has descendants through the Swedish royal House of Eric. Magnus IV of Sweden, a descendant of Ragnhild Magnusdottir according to the medieval sources, ascended the Norwegian throne in 1319, after which all of Norway's kings, except Charles VIII, Charles XIV and Oscar I of Sweden, have similarly been her descendants. In case Sverre is not Sigurd's son, Harald Gille has recorded descendants through Bridget Haraldsdotter (who was married to Earl Birger Brosa) among Scandinavian nobility and through that lineage, among current European royalty. Charles I of Norway seems to have descended from Bridget, as did also Gustav I of Sweden and thus all his descendants. The Sverre dynasty continues to the present time through Haakon IV, whose father is not fully certain. Haakon IV married Margret Skulisdottir, who descended from earlier Norwegian petty kings and magnate families, and their children continue also that ancestry. From Haakon IV onwards, all Norway's kings are descended from him except Charles I, Charles III and Oscar I. From St. Olav himself, according to the medieval material there are two main lines of descent: the line of the earls of Orkney through his illegitimate granddaughter, and the line of the Dukes of Saxony through his only legitimate daughter, Ulvhild. Eric II was the first king of Norway to descend from him, and afterwards all Norway's monarchs have except Charles I, Charles III and Oscar I. ↑ "Harald Hårfagre". Store norske leksikon AS. Retrieved 22 January 2014. ↑ Arno Borst, Medieval Worlds : Barbarians, Heretics, and Artists in the Middle Ages, University of Chicago, 1992, ISBN 0-226-06656-8, p. 132. ↑ The phrase is first recorded in the contemporary Historia Norwegiæ - Knut Helle, The Cambridge History of Scandinavia Volume 1, Prehistory to 1520, Cambridge University Press, 2003, ISBN 0-521-47299-7, p. 379. ↑ M. Sjöström, "Scandinavian medieval descendants of Charlemagne: A detailed genealogy of the issue of Agnes Haakonsdottir, of the so-called Fairhair dynasty", Foundations - Journal of the Foundation for Medieval Genealogy vol 2 (2007:4, July), pp. 253-276: "It is very likely that the lord Halvdan, father of kinglet Sigurd Syr, was not identical with a possible Halvdan in Hadafylke, grandson of king Harald". ↑ Birgit and Peter Sawyer, Medieval Scandinavia: from Conversion to Reformation, circa 800-1500, Minneapolis: University of Minnesota Press, 1993, ISBN 0-8166-1738-4, p. 61. ↑ Joan Turville-Petre, "The Genealogist and History: Ari to Snorri", Saga-Book 20 (1978-81), pp. 7-23 (pdf), especially pp. 8, 10: "The numbers suggest that this was a professional genealogical document, made up in sets of ten generations". ↑ Turville-Petre, pp. 14: "According to Ynglingatal, the first five members were all buried in Vestfold; which implies that this was the centre of their power. Yet Ari entitles the first member Upplendingakonungr. In Icelandic historical tradition the emphasis is on the mountain regions"; 15: "The Skjǫldungs were not in question . . . ; the Ynglings of Sweden were chosen". ↑ Sjöström, for example, regards this as evidence of later invention: "[T]he male-line descent of Sigurd Syr from Harald Fairhair/Schönhaar is very uncertain, redolent of a later, possibly 12th-century, creation in support of the established royal Hardraada dynasty's legitimacy claims".